Baker designs and builds application-specific Class III gloveboxes to the highest specification for containment and construction detail. Many Class III cabinets are custom systems. The IsoGARD® was developed by bringing together the best and most requested features of our custom Class III systems and offers a standardized line of biological safety cabinets. Baker's IsoGARD® series is designed to allow safe handling of hazardous microbiological agents or pharmaceutical potent compounds under contained conditions. Our exclusive design offers a degree of product protection higher than that achieved before in any Class III equipment because the entire volume of air within the cabinet is replaced. The IsoGARD® bathes the interior of the cabinet with HEPA-filtered air, thereby increasing entrainment of generated particles and keeping the work area free of contaminants. 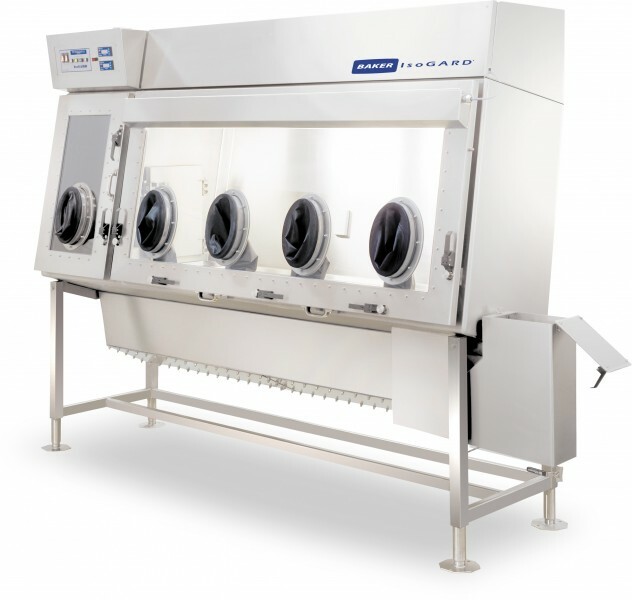 Class III gloveboxes can be engineered to provide the highest level of personnel, product and environmental protection, all with the convenient, user-friendly features and ergonomic comfort you've come to expect from a Baker cabinet.